This could be your weekend mountain getaway! 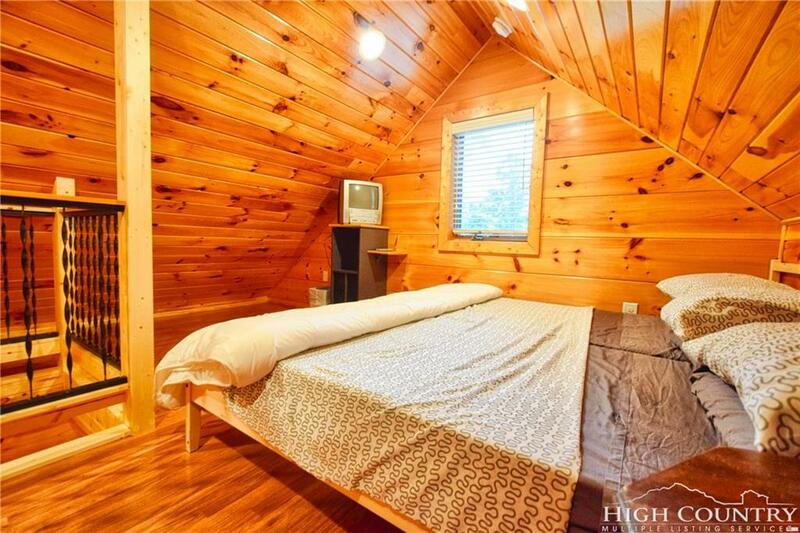 Unique tiny cabin on wooded 2+ acre parcel in historic Todd. 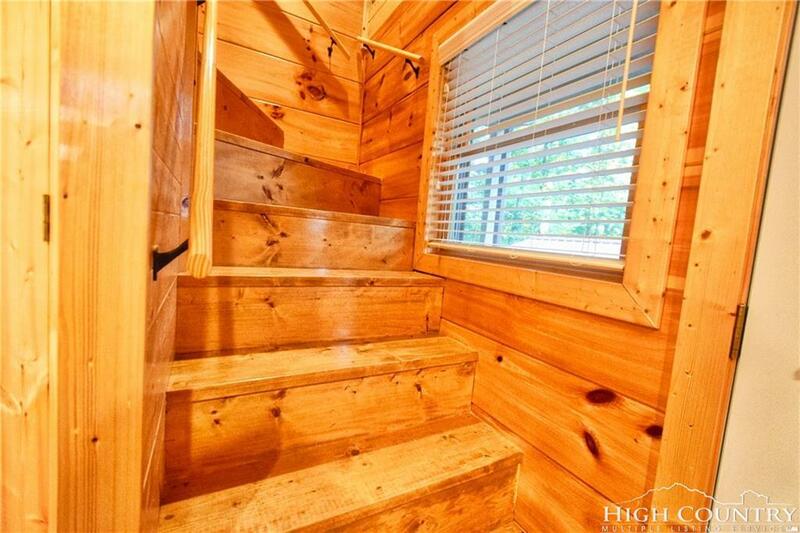 Cabin offers kitchen and bath on main level and upstairs sleeping loft. Property includes solid 20x25 carport. Homesite adjacent to the cabin has already been graded. Use the cabin as a weekend escape spot or use it as your base camp for building a larger cabin on the property. Then use existing structure as a guest quarters, office or studio. 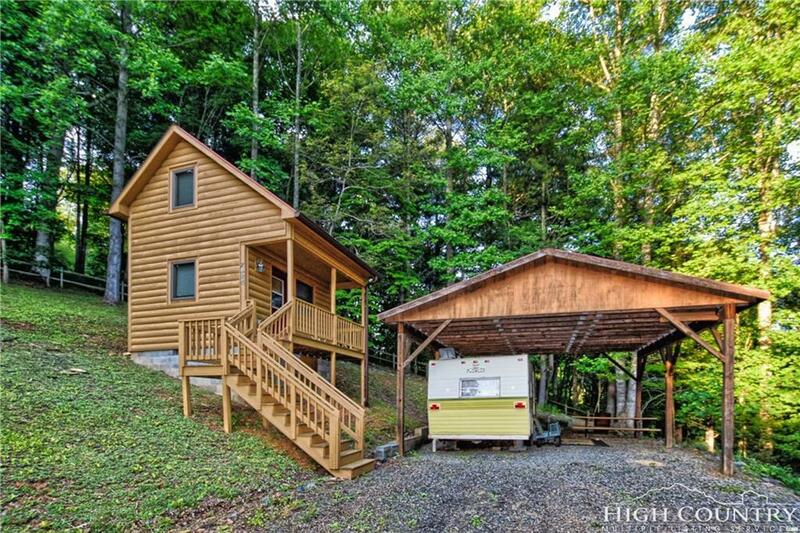 Cabin is served by a 3BR septic system. Well produces 40GPM. 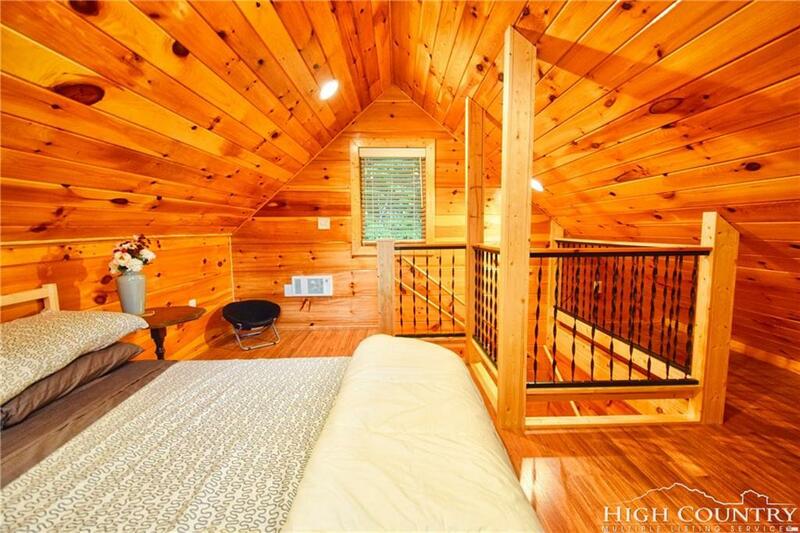 Located in a great spot to enjoy all the High Country has to offer and within 25 minutes of Boone and West Jefferson. Less than 1 mile to the New River. Situated above historic Todd. Enjoy outdoor live music events in Todd from your own private deck as the sound carries up the valley.